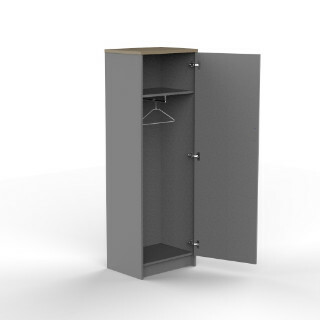 The wardrobe has one hanging rail just below a top fixed shelf. Additional fixed or adjustable shelves are options. Deeper wardrobes are available. Doors can be hinged left or right.